Trainer kites are the best way to get into kiteboarding, learning about the wind and power of a kite while keeping yourself safe and having fun. Trainer kites come in 2 or 3-line types and with with names like Ozone, Sensei, CrazyFly, Airush, and HQ you are guaranteed to feel the power. Kiteboarding boards come in different shapes and sizes to fit your skill level, body weight, riding style and wind speed. 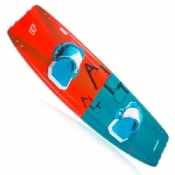 Whether you�re looking for a great twintip, surf board, or foil board for cruising, light winds, jumping, or riding fast we have what you need. Let us help you find the board you are looking for. We carry the best board brands like Crazyfly, Airush, Slingshot, Cabrinha, Naish, F-One, and more. Protect your kite gear with a bag. Golf travel bags are great for packing all your gear in one place for a trip and compression bags help keep the weight down. Single board bags help protect your board and also your kites from the fins on your board when you toss everything in your car to hear out for your next session. Lifestyle bags range from backpacks to airline rollers to accessory bags. All the bags are top quality and will last for years from major brands such as Dakine, CrazyFly, Ozone, Slingshot, Mystic, NSI, Naish, and others. The harness is one of the essential pieces of equipment for kiteboarding. Comfort and quality are the most important features of your harness since you�ll be wearing your harness every time you kite. Don�t skimp on your harness. 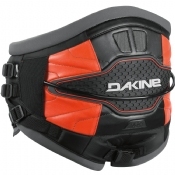 Harnesses come in waist, seat, or boardshort varieties and we carry Dakine, Mystic, Slingshot, Naish, Prolimit, Ride Engine brands and more. We carry everything you need to stay comfortable and safe on the water: water shades, rashguards, neoprene hoodies, float and impact vests, wetsuits, drysuits, booties, gloves, beanies, and hats. We carry replacement fly line sets in case you break a line or need different length lines. Attaching extensions to the end of your fly lines extends your line length. Longer flying lines give you more power and shorter lines give you quicker turning. We carry replacement linesets from Ozone, Naish, Slingshot, PKS, and Q Power plus can custom make lines and lengths to your specifications. The wind is an essential part of kiteboarding so why wouldn't you want to know what it's doing? These handy windmeters can be used to get an accurate read on the conditions. Some measure just the wind, while other more advanced meters can measure the temperature, wind chill, pressure, humidity, and more. We carry both stand-alone and smartphone compatible units. Share your love of kiteboarding.com or your favorite brand with our kiteboarding apparel. Logoed hats, shirts, hoodies, hoodies, and other goodies are available. We have everything you could ever need or want to fix your kite (aside from somebody to repair it for you, but we can help you with that too). Self-stick valves, replacement bladders, replacement lines, pulleys, pigtails, sail and dacron tapes, Tear Aid bladder patches, spare parts, as well as complete repair kits that have everything you need. Accessories for everything kiteboarding that you need. Must-have items like self-launch tools, changing towels, key guards, sand weight bags, hitch safes, DryCase, tie-down straps and pads, DVD's, and more. GoPro cameras are the best-selling actions sport cameras out there. They are made to take all the abuse you can throw at them. A variety of mounts help you get the angle and perfect shot while accessories such as extra batteries, housings, and chargers keep your camera ready to go. It's cold out there, stay warm with selections for our stay warm catagory. Get started kiteboarding today. If you are looking to get into the sport do the smart thing and get lessons. Let us teach you how to get up and get riding. We offer beginner lessons with all the gear included, refresher lessons if you haven't kited for awhile, or advanced lessons to help you learn a new trick.